10. Yak & Yeti Restaurant – On rainy days in Disney’s Animal Kingdom when the rain becomes heavy and seems to not be letting up, a great option to enjoy while staying dry is a full service meal. 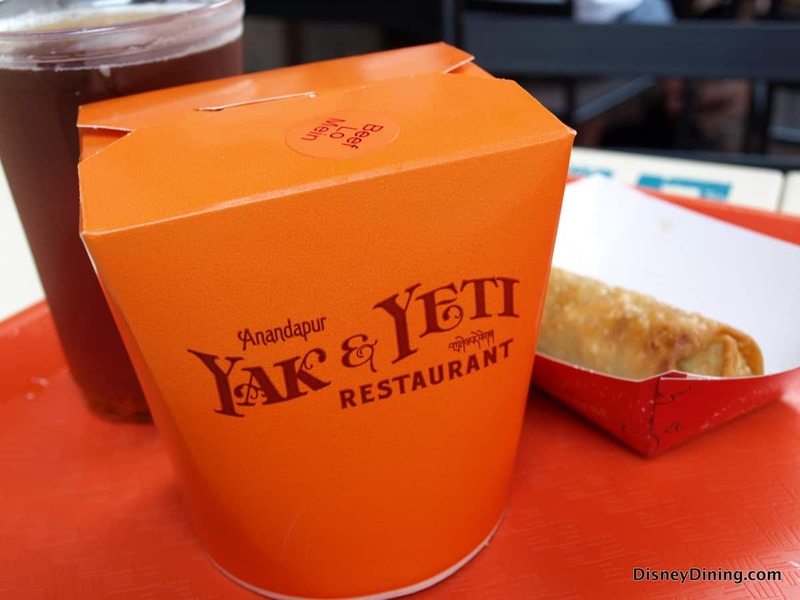 The Yak & Yeti Restaurant is located in the Asia section of the park and is open daily for lunch and dinner. The location is beautifully decorated and features a backstory of a family who spent time traveling through Southeast Asia collecting art and recipes that they brought back to this unique locations. Guests can dine on two different floors surrounded by authentic Asian artwork and artifacts while enjoying Pan-Asian cuisine including options such as Pork Egg Rolls, Dragon Roll, Ahi Tuna Nachos, Malaysian Seafood Curry, Chicken Tikka Masala, Crispy Honey Chicken, Kobe Beef Burger, and Teriyaki Chicken. While every menu option at Yak & Yeti Restaurant is delicious, guests should save room for a rainy day dessert treat of the Fried Wontons which are stuffed with cream cheese and served on skewers with pineapple and vanilla ice cream!